A remarkable resurgence of interest in allotment gardening has meant that currently all tenancies are occupied and there is a lengthy waiting list for vacancies. Applicants should be aware that it may take three years or more to climb towards the top of the list. To make the best use of available space, some rule changes have been introduced. Only half- plots (about 150 sq mtrs) can be offered to new applicants, who must reside in the parish of Burbage. Only one half- plot per household is allowed and therefore only one application/tenancy will be accepted from each household. All tenancy agreements must be with a single name and are non-transferable. A deposit (currently £50) is payable, refundable on the plot being surrendered in an acceptable state. 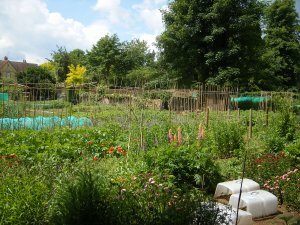 The allotment year runs from April 1, with annual rent payable from that date, or at pro rata.